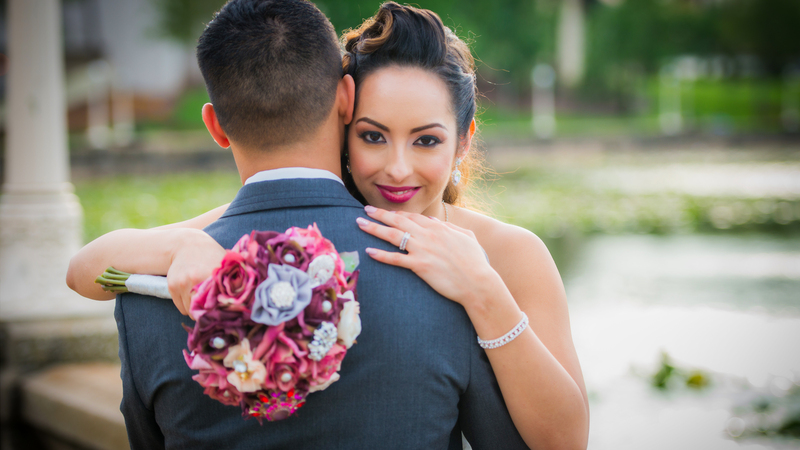 Editor’s note: This is a guest article from Florida-based wedding photographer Richie Acevedo. Richie was one of the first photographers mentored by Vanelli many years ago. Impressed with how far he has come, Vanelli suggested Richie start sharing his knowledge through writing and video tutorials. While attending Imaging USA, Richie had a chance to sit in on Vanessa Joy’s class, “Speed Posing for Tight Timelines.” Richie took notes on the class and wanted to share a few of Vanessa’s tips. Here are Richie’s notes on how Vanessa uses three types of circles for speed posing. There are three different types of circles you need to consider to get a variety of images from a single pose — Crop, body and head circles. These three circles will help you flow from shot to shot. The first thing to prepare for your shoot is to know your subject. Create a short questionnaire that will help you get to know them. This will help you find out if they are a dreamy lovely couple or simple and to the point. Do they want dramatic and stylish or simple and clean? This will help when it comes to the time it will take for your photoshoot. When you start your posing stay in the light. Don’t move the subjects — it’s always faster to move yourself. Keep talking to the couple. Try to avoid big silence gaps, as silence can become uncomfortable. Have the couple stay in their position as you move around them. Capture full, medium and tight shots. The tight shots can also be used to capture detail. Ask the bride and or the groom to quarter turn in a circle as you stay in one position. Take a shot on each quarter turn. Position the bride and or groom. Have them move just their head to different positions. For example, have the groom look at the camera, the bride looking at the groom as he is looking at the camera, the bride looking down and the groom looking at her, and both looking at each other. These tips can be applied to a variety of different style shoots. Spend a few hours with a test subject and practice not just the speed posing tips but how you are directing the subject. This will help you stay relaxed and confident on your next shoot.